If you need landscaping materials delivered to your Midvale location, The Dirt Bag has you covered. We deliver our exceptional quality products, including garden soil, mulch, compost and gravel, in bulk and in our convenient cubic-yard bags. In addition to our wide variety of landscaping materials, we also deliver some of the finest Kentucky bluegrass sod available in northern Utah. We are committed to giving our customers great, friendly service and the lowest possible prices. As we like to say, this is one Dirt Bag you will love! Bagged Garden Soil, Compost, Mulch & Top Dressing – Free Delivery! In Midvale and throughout Salt Lake County, The Dirt Bag offers free delivery of our convenient bagged landscaping materials. Each of our products, including our premium Organic Mountain Compost and Garden Soil Plus, comes conveniently contained in durable, reusable one cubic yard bags. You can also order bags of mulch, shredded bark, soil conditioner, playground wood ships, screened topsoil and play sand. We will deliver your Dirt Bags to your location and place them precisely where you indicate, by drawing a large “X” on the ground. You don’t even have to be home. 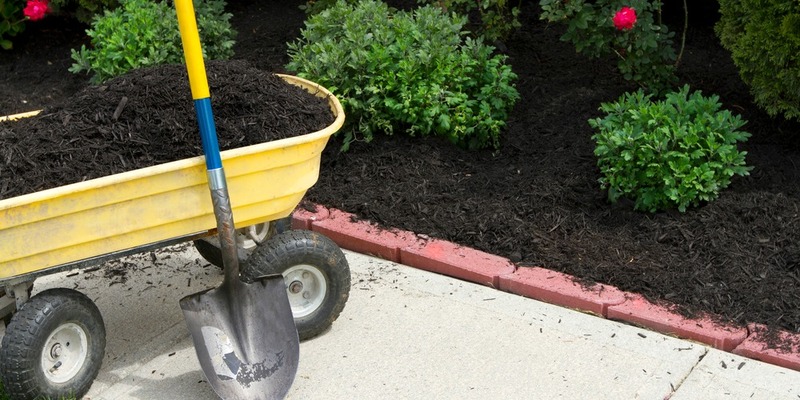 No more spending your time going to the nursery or home center, loading up bags of soil and schlepping them back home. You can order online, by phone or even by email and, next thing you know, your products will arrive at your doorstep. It couldn’t be easier – or more affordable – to order the materials you need for your landscape and garden projects. If you prefer, you can order our products in bulk, for delivery to your Midvale home or business. In addition to the landscaping materials described above, we also offer pea grave, Oquirrh gravel and Weber cobble for bulk delivery. Bulk materials are available by the cubic yard, delivered and unloaded in the location you specify for only a small delivery fee. To order bulk products, give us a call or stop by our materials yard to get a better look at what we have available. Our exclusive Kentucky bluegrass sod blend is designed to thrive in our geographic area. This native Utah sod is grown locally and harvested when you place your order. The result is healthy, lush turfgrass that’s ready for you to create an instant lawn. We sell our Utah sod by the pallet. Each pallet covers approximately 540 square feet, and we require a minimum four-pallet order. Order 10,000 square feet or more of this amazing sod and we will provide free delivery. Contact The Dirt Bag today to place your order for garden soil, mulch, compost, gravel, play sand and other landscaping materials, for delivery to your Midvale UT location.